February 21, 2019 — In an effort to protect endangered whales, conservation groups today filed a motion to stop oil and gas companies from conducting seismic airgun exploration from Delaware to Florida. “In my expert opinion, the introduction of seismic airgun surveys off the U.S. East Coast represents an existential threat to the North Atlantic right whale, an endangered species that is already in a dangerous state of decline,” Scott Kraus, vice-president and senior science adviser for the Anderson Cabot Center for Ocean Life at the New England Aquarium, said in an expert declaration filed with the plaintiffs’ motion for a preliminary injunction. The federal Bureau of Ocean Energy Management is poised to issue permits to five oil and gas exploration companies, and seismic surveys could begin as early as March 30, according to the motion. The plaintiffs want to halt “seismic airgun blasting” in the Atlantic until the merits of their claims are resolved in court, according to the motion. February 19, 2019 — So many people turned out for Thursday’s hearing on Vineyard Wind — about 140 — that some had to stand where they could not see the presentation. But no one came for the presentation on the proposed 800-megawatt wind farm south of Martha’s Vineyard; they came to officially register their comments with the U.S. Bureau of Ocean Energy Management, and to hear others’ remarks. The hearing at the Waypoint Event Center was one of five around the region to collect public comment on the Draft Environmental Impact Statement, a required step before the wind farm can win approval. An emcee from BOEM invited each commenter to sit across from a panel of three BOEM employees at the front of the room. Commenters’ backs faced the audience. A court reporter recorded the entire session. Vineyard Wind intends to build 84 turbines, but the federal document would allow up to 100, depending on the turbines’ capacity. February 15, 2019 — By a 3-to-2 vote that was marked by sharp disagreement, the East Hampton Town Board authorized an agreement with Orsted U.S. Offshore Wind last Thursday that will allow it to conduct archaeological and soil tests along a proposed cable route in Wainscott. The company, which until its November acquisition by the Danish energy company Orsted was known as Deepwater Wind, plans to construct the 15-turbine South Fork Wind Farm approximately 35 miles east of Montauk. Separately, Eversource, New England’s largest energy company, announced on Friday that it had purchased a 50-percent stake in the South Fork Wind Farm and Orsted’s Revolution Wind as well. The $225 million deal also included a federal lease area south of Massachusetts and Rhode Island. Orsted took over all three assets in November as part of its acquisition of Deepwater Wind, the Rhode Island company that first developed the projects. Deepwater Wind is now called Orsted U.S. Offshore Wind. The South Fork Wind Farm was originally proposed as a 90-megawatt installation; Orsted U.S. Offshore Wind officials say now that improvements in turbine technology will allow generation of up to 130 megawatts. According to the company’s timeline, it could be operational in late 2022. On eastern Long Island, Deepwater identified the oceanfront end of Beach Lane in Wainscott as the preferred site to land the wind farm’s transmission cable. From there, the cable would run underground to the Long Island Power Authority substation in East Hampton. Archaeological test pits are to be excavated by hand to depths of up to 4 feet and approximately 18 inches in diameter, at 50 to 100-foot intervals. The pits are to be filled upon completion. The work is planned along Beach Lane, Wainscott Main Street, Sayre’s Path, Wainscott Stone Road, and Wainscott Northwest Road, where it will continue to the intersection with the Long Island Rail Road right of way. Soil samples will come from two test borings and there will be a drainage test within the town-owned right of way at Beach Lane. 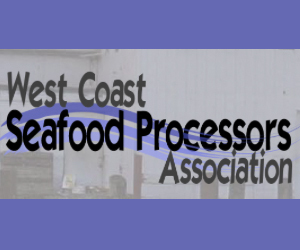 February 15, 2019 — The Interior Department and Bureau of Ocean Energy Management (BOEM) announced that BOEM will offer 78 million acres for a region-wide lease sale scheduled for March 2019. The sale would include all available unleased areas in federal waters of the Gulf of Mexico. Lease Sale 252, scheduled to be livestreamed from New Orleans, will be the fourth offshore sale under the 2017-2022 National Outer Continental Shelf Oil and Gas Leasing Program (National OCS Program). Under this program, 10 region-wide lease sales are scheduled for the Gulf, where resource potential and industry interest are high, and oil and gas infrastructure is well established. Two Gulf lease sales will be held each year and include all available blocks in the combined Western, Central, and Eastern Gulf of Mexico Planning Areas. Lease Sale 252 will include approximately 14,696 unleased blocks, located from three to 231 miles offshore, in the Gulf’s Western, Central and Eastern planning areas in water depths ranging from 9′ to more than 11,115′ (three to 3,400 meters). The following areas are excluded from the lease sale: blocks subject to the congressional moratorium established by the Gulf of Mexico Energy Security Act of 2006; blocks adjacent to or beyond the U.S. Exclusive Economic Zone in the area known as the northern portion of the Eastern Gap; and whole blocks and partial blocks within the current boundaries of the Flower Garden Banks National Marine Sanctuary. The Gulf of Mexico OCS, covering about 160 million acres, is estimated to contain about 48 billion barrels of undiscovered technically recoverable oil and 141 trillion cubic feet of undiscovered technically recoverable gas. Revenues received from OCS leases (including high bids, rental payments and royalty payments) are directed to the U.S. Treasury, certain Gulf Coast states (Texas, Louisiana, Mississippi, Alabama), the Land and Water Conservation Fund and the Historic Preservation Fund. 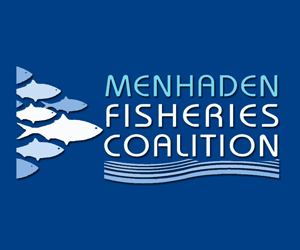 The Responsible Offshore Development Alliance (RODA), New York State Energy Research and Development Authority (NYSERDA), and New York State Department of Environmental Conservation (NYSDEC) are gathering feedback related to fishing transit throughout the NY Bight. 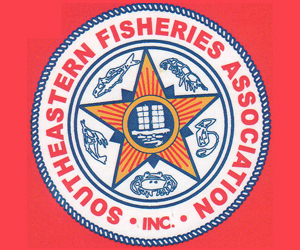 This information gathering, which includes a review of existing data and a fishermen survey, will culminate in a transit workshop scheduled for March 27, 2018 at Danfords Hotel, Marina, and Spa in Port Jefferson, New York. The goal of the workshop is to present information collected on New York Bight transit routes to participants, to gather feedback, and ultimately develop a Workshop Report that provides a clearer understanding of where transit lanes would provide the greatest value for the fishing industry prior to the Bureau of Ocean Energy Management’s delineation of new offshore wind lease areas in the New York Bight. 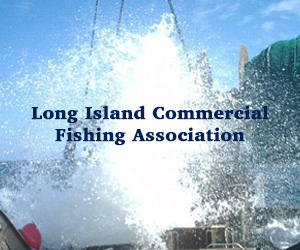 RODA urges all commercial fishermen who transit through the New York Bight to complete the survey here prior to March 1st so that your input will be fully considered. 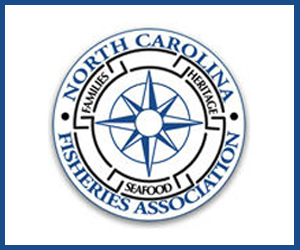 Please return completed surveys to lane@rodafisheries.org or by mail to RODA, P.O. Box 66704, Washington D.C. 20035. RODA will ensure that any replies will be anonymized before submission to the state and federal government at the request of any respondent. Please register here if you would like to attend the March 27th workshop. February 7, 2019 — Vineyard Wind can now move forward with regional and local permitting for its planned offshore wind farm after receiving a critical certificate from state environmental officials, and regulators on the Cape and Islands say they are ready. “We’ve looked at cables before,” said Paul Foley, the development of regional impact coordinator with the Martha’s Vineyard Commission. The commission will hold its first public hearing Feb. 21 on Vineyard Wind’s cable-laying plans after receiving a referral from the Edgartown Conservation Commission. The hearing is only on the cables but Foley said he expects community members to be curious about the entire project, which could be the first industrial scale offshore wind farm in the country. As planned, the two undersea cables would start at an 84-turbine wind farm 15 miles south of the Vineyard and then run north between the Vineyard and Nantucket, in Muskeget Channel, to William H. Covell Memorial Beach in Barnstable, which is the company’s first choice for landfall. The cables would then run underground for about five miles to a new substation off Independence Drive, where they will connect to an existing substation that leads to the regional electricity grid. 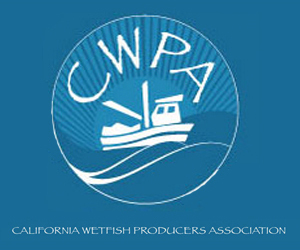 February 5, 2019 — After more than a month’s delay due to the government shutdown, a public hearing on the environmental effects of Vineyard Wind has been rescheduled for Valentine’s Day, Feb. 14. 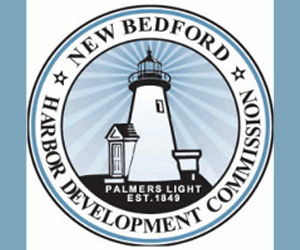 The hearing in New Bedford is one of five across the region that will address environmental issues in Vineyard Wind’s construction and operations plan. 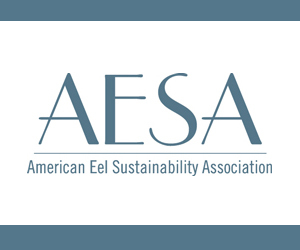 The U.S. Bureau of Ocean Energy Management is collecting public comment on the Draft Environmental Impact Statement before the draft is finalized. As the winner of Massachusetts’ first commercial contract for offshore wind energy, Vineyard Wind intends to build 84 turbines in federal waters south of Martha’s Vineyard. The hearings are a required part of the federal permitting for the 800-megawatt project. On Friday, Vineyard Wind Chief Development Officer Erich Stephens spoke at a meeting of local business leaders, who have been looking for details about how the money the company has committed for worker training and business development will be put to use. The New Bedford hearing will take place at the Waypoint Event Center, with an open house from 5 to 8 p.m. and presentation and question-and-answer session at 6 p.m.
January 29, 2019 — Despite the partial federal government shutdown ending, public comment meetings led by the Bureau of Ocean Energy Management regarding Vineyard Wind’s plan to construct an offshore wind-turbine farm have been indefinitely postponed, according to David Bernhardt, acting secretary of the interior. Meetings were scheduled Jan. 8, 9, 15, 16 and 17 but were continually pushed back as the government shutdown extended and BOEM workers were forced to stay home. Bernhardt tweeted Jan. 24 that BOEM would “reschedule public meetings for the Vineyard Wind offshore renewable project very soon,” but gave no timeline on the issue. Vineyard Wind is confident the project will remain on schedule despite the effects of the shutdown, Farmelant said. January 25, 2019 — Vineyard Wind officials are not waiting for federal officials to return to their desks: The company has reached an agreement with environmental groups to protect North Atlantic right whales and has offered Rhode Island fishermen a $6.3 million deal to compensate them for any economic damages they may incur from the wind farm’s construction and operations. On both fronts the company’s intention, in part, is to pave a smooth path for the 800-megawatt wind farm project planned south of Martha’s Vineyard, which is on a tight schedule to take advantage of federal investment tax credits that are expiring at the end of the year. The 84-turbine wind farm is expected to deliver enough electricity to power about 400,000 homes in Massachusetts via an underwater, high-voltage cable that will land on a Barnstable beach, company officials said. As planned, it could be the nation’s first industrial-size offshore wind project. January 25, 2019 — The U.S. Interior Department will press forward with a wind power project during the partial government shutdown using money already granted by Congress, its acting head announced Thursday. The move could assuage Democrats’ concerns about the Trump administration pushing for oil drilling in the Arctic during the shutdown, which has lasted 34 days. Avangrid Renewables wants to build an 800-megawatt Vineyard Wind project off the coast of Massachusetts near Martha’s Vineyard. Public meetings on the project were canceled during the shutdown and will be rescheduled, according to acting Interior Secretary David Bernhardt. Wind is generally viewed as an alternative to fossil fuels that is better for the environment because it is renewable, readily available and does not create air emissions.